1) Learn the basics of various active methodologies as a way to tackle early school leaving. 2) Study the theory of multiple intelligences as a way to value other students’ skills. In the afternoon: free time. In the morning from 10:00 to 13:30 visit to a school to see evidences of Project Based Learning. In the afternoon from 16:00 to 19:00 lecture about Project Based Learning and Teach to Think. In the morning from 10:00 to 13:30 visit to a school to see evidences of cooperative work. In the afternoon from 16:00 to 19:00 lecture about Cooperative Learning. In the morning from 10:00 to 13:30 visit to a school to see evidences of teaching best practices. In the afternoon from 16:00 to 19:00 lecture about Gamification. In the morning: free time. In the afternoon: cultural and social immersion. 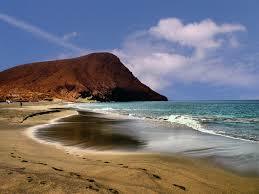 Guided tour to the Teide including two short walks in Roques de García and Minas de San Jorge. After this we will the dinner and we will end up enjoying the sky through a telescope. The methodology will adopt a hands on approach. The participants will have the opportunity to experience the theoretical framework. We will make visits to centers in order to carry out observations of best practice. We aim to build a diverse and stimulating environment for participants to exercise reflection, working and learning. After the confirmation and before starting, previous knowledge and experience of participants will be checked, as well as their specific needs related to the topics of our training course. Our main mission is to train in-service teachers who teach at Infant school, Primary or Secondary levels, as well as those who teach vocational training. We also deal with exchanging best practice, reflection on the learning and teaching processes and innovation for the whole educational system. Our main concern is to foster an active, creative, competent and happy citizenship in order to contribute a more dynamic and fair society. Our organization is characterized by a strong sense of commitment with the educational community. We also promote innovation, hard work, enthusiasm and self-initiative. For any further information, do not hesitate to contact us (+34 922 391005 Marcos Méndez 38700388@gobiernodecanarias.org). We will be delighted to find out the best solution for you.